"'ASIA' - autoimmune/inflammatory syndrome induced by adjuvants.' "Vaccination" damaging immunity Folks how much more evidence do you need? Get the hell out of the "vaccination" house of Horrors if you still reside there. ALL "vaccines" contain TONS of "adjuvants; adjuvants are an essential component of "vaccines". What FOOLS they think we are. "There is massive over-vaccination. To prevent one case of polio 200-1000 children must be vaccinated. 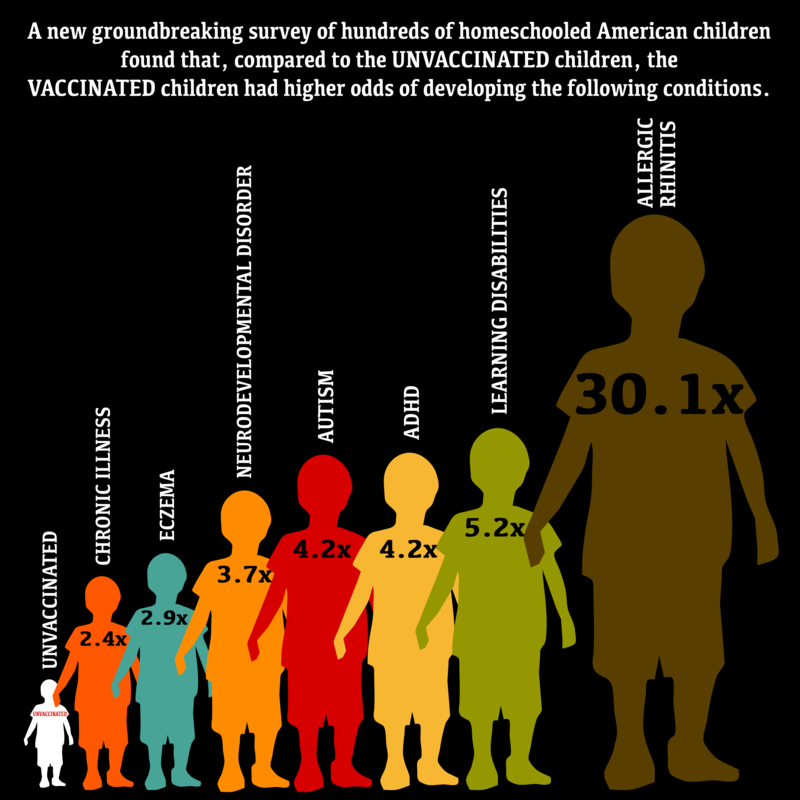 Most well-nourished unvaccinated children and adults will develop antibodies on their own when infected with transmissible diseases such as measles, mumps, polio, whooping cough and chicken pox, without developing noticeable symptoms." Note children with high enough anti-infective vitamins almost NEVER get Serious cases of the common childhood infective diseases; they contract the disease, often asymptomatically, and obtain lifetime natural immunity. Instead of enforcing "vaccination" an honest CDC would ASSURE anti-infective vitamins in the US population, But where is the BIG Pharma INC money and Depopulation in good health? You may think mercury has been removed from "vaccines" but it has NOT. For example your lovely "flu shot" usually contains 100 billion to 200 billion atoms (25 mcg - 50 mcg) of mercury. 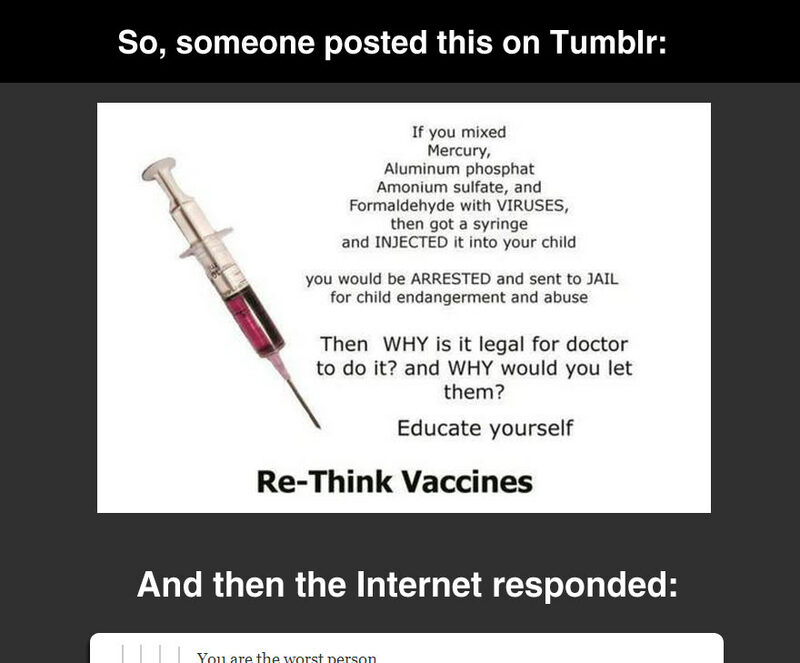 EVERY "vaccination" contains mercury. 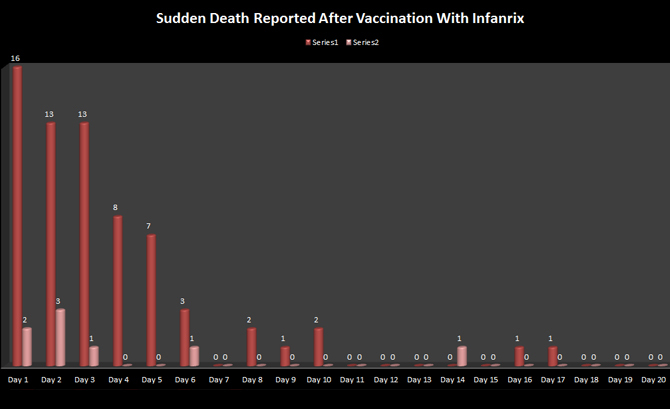 SIDS is MOSTLY CAUSED by "Vaccination"
“On November 1, Roz woke up acting strangely; then she suddenly began to seize. I administered Diastat. She woke up an hour later and went into another seizure. We found ourselves back at Children’s with croup this time. Beginning in December, she had seizures about every month, and they began to get worse. Instead of having partial complex seizures, she began to have partial complex that generalized and Tonic-colonic (TC) seizures. By April 2013, she was having seizures every week. In the middle of April, Roz had three major TC seizures within a week’s time. We decided to take her to Cincinnati Children’s to get some answers.” Young Girl Loses Half Her Brain After MMR Vaccine Note: There are few good answers once your precious child is damaged by “vaccination” as the damage is often in the BRAIN and will take years to heal IF EVER. The only good answer is NO VACCINATION now at birth not a 4 NOT EVER. We are dealing with the devil here folks. Seizure and Epilepsy are MOSTLY Caused by "Vaccination"
Many Allergies are Caused by "Vaccination"
Autism is MOSTLY Caused by "Vaccination"
Doctor Andrew Moulden took degrees in three disciplines on his quest to understand autism and the ASDs. He has put the pieces together to prove vaccination is causing harm each and every time you vaccinate. Doctor Moulden discovered as we have learned with Cancer oxygen is a key to life, and the act of "vaccination" is preventing oxygen from being delivered to the children's brains and other body parts. 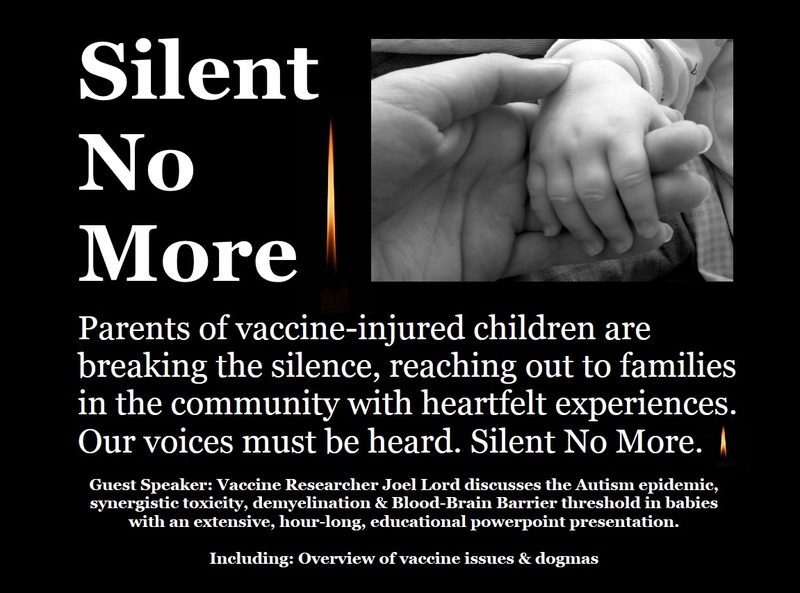 What Doctor Moulden has demonstrated with COPIOUS evidence; evidence which has convinced EVERY Vaccination Court that "vaccinations" are harming children. If you visit his protocol you can review this evidence in detail and decide if you want to participate is this "vaccination" harm. Doctor Moulden presents the indisputable forensic medical evidence for how ALL vaccinations are inducing harmful brain and body damages EVERY time you "vaccinate". The damages are being caused by an electrostatic as well as an immune induced hypersensitivity response that derails microscopic blood flow and fluid dynamics. We are seeing the exact same problems from infants to geriatrics. All vaccination produces micro strokes to the brain and elsewhere in your body. Most do not produce immediately overt effects but ALL produce ischemia. Vaccinate enough and the harm can become overt as in misaligned eyes or facial grimaces, can greatly harm as in Autism or can kill as in SIDS. “All financial ties of the country’s [India] apex immunisation advisory body, National Technical Advisory Group on Immunization (NTAGI), with the Gates Foundation have been cut off.” Note this after numerous lawsuits over Gates’ “vaccines” that have killed and injured over 100,000 Indian children “vaccinated” with his poisons. Alzheimer's and Dementia are Mostly Caused by "Vaccination"
Now how can a simple "flu shot" cause Alzheimer's? Each "flu shot" contains 100 -200 Billion MERCURY atoms and many seniors receive two and three "flu shots" per year; got to make sure forgetful granddad gets his "flu shot". Here is what a couple of atoms of mercury can do. This video shows in graphic detail how the ions of mercury bind to the nerve tublins and discompose the nerve sheath exposing the nerve; resulting in the death of the nerve. This destruction of the nerves by Mercury closely resembles the destruction observed in the brains of Alzheimer's patients. Is that because it is? Granddad often does not have the capacity to eliminate the mercury from his "flu shot" and the mercury just keeps destroying nerves and granddad just keeps getting his "yearly flu shot" until granddad fades away into Alzheimer's. With the God of FORCED "Vaccination" completely overtaking our children's lives you can EXPECT Alzheimer's to occur at younger and younger ages; in fact I am sure we will see teenagers with "Alzheimer's". AIDS can be Caused by "Vaccination"
The weaponized mycoplasma that causes AIDS can easily be included in a "vaccination". Is it? Do you want to take the chance? I do not and have not been "vaccinated" in forty years. NEUROLOGICAL DISORDERS can be Caused by "Vaccination"
"Dozens of published peer-reviewed studies demonstrate clinical and scientific links between vaccination/vaccine ingredients and autism spectrum disorders (ASDs) showing the mechanism by which the damage is done, including on a molecular level. These include cell culture studies, mixed cell cultures, organotypic tissue studies, in vivo animal studies, and human studies." Blaylock, R.L., The danger of excessive vaccination during brain development: the case for a link to Autism Spectrum Disorders (ASD), Medical Veritas, Vol. 5, 2008, pp. 1727-1731. "Mice injected with the vaccine adjuvants aluminum hydroxide and squalene (adjusted for human body weight) by 20-24 weeks, exhibited significant loss in physical strength (50 percent) increases in anxiety (38 percent); memory deficits (41 times the errors as in the control group). One third of the neuron cells controlling bodily motor functions had destroyed themselves." Petrik, M.S., Shaw, C.S. et. al., Aluminum Adjuvant Linked to Gulf War Illness Induces Motor Neuron Death in Mice, NeuroMolecular Medicine, Vol. 9., 2007, pp. 83-99. 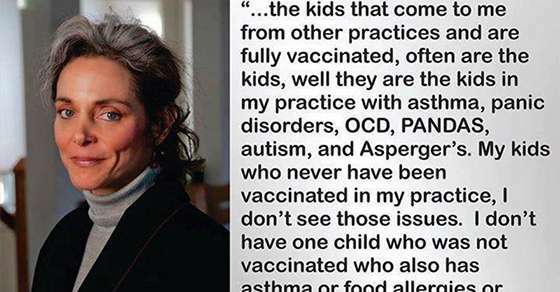 The above quotes are taken from a white paper that completely IMO demolishes ALL basis for "vaccination". Note MOST "flu shots" contain 25 mcg - 50 mcg of mercury (100 - 200 Billion mercury atoms) in a SINGLE dose! ALL "flu shots" contain mercury. If you have neurological disease or do not wish to have neurological disease Please don't consider the neurological disease producing practice of vaccination. There is little question that vaccination is a cause of many neurological diseases. Patrick Jordan explains how neurological diseases often follow the barbaric practice of "vaccination". IMO if anything the above chart understates the harm "vaccination" is doing to our children, adults and seniors. With just a little study IMO you must come to the conclusion that the toxic practice of "vaccination" is inherently UNSAFE and should be eschewed by all parents. “UVB exposure and infectious mononucleosis (IM) together can explain a substantial proportion of the variance of MS. The effect of UVB on generating vitamin D seems the most likely candidate for explaining its relationship with MS. There is a pressing need to investigate the role of vitamin D and EBV and how they might interact to influence MS risk to identify potential prevention strategies.” Treating MS Without Dangerous Drugs Note this quote also sends a chill through me. 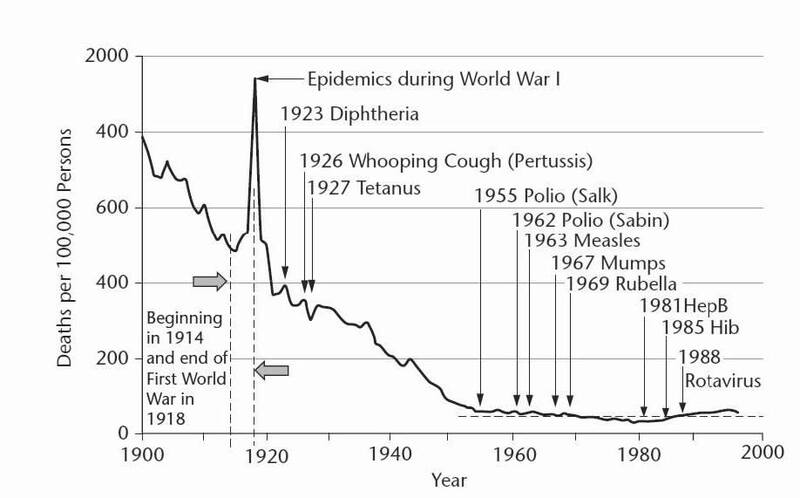 Infectious Mono was a big step in the development of Weaponized Mycoplasma. You can investigate this nexus by reading Doctor Leonard Horowitz's seminal bio-weapons book "AIDS, Ebola and Emerging Viruses". If you visit the Weaponized Mycoplasma protocol you will learn of the MANY diseases that can be delivered by "vaccinations" which can contain Weaponized and non-weaponized mycoplasma. You will also learn how high levels of sunshine and vitamin D can protect you from this risk and can often help to reverse or completely reverse the damage. If you visit this protocol you will learn why "vaccination" is NEVER required and is only harming your Child's natural immune system. You will also learn why "vaccination" induced "herd immunity" is a pernicious MYTH. "Vaccination" does NOT confer Herd Immunity. 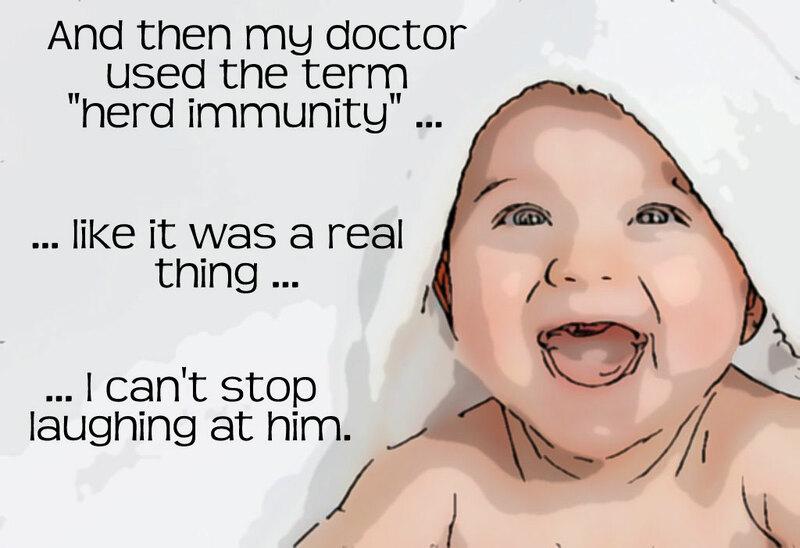 Herd immunity is conferred once many of the people develop "natural immunity" by contacting the disease NATURALLY. Incidentally "vaccination" does not confer individual immunity either. Immunity both personal and herd is a NATURAL process and can only be achieved by contacting and defeating a NATURAL pathogen NATURALLY; most "vaccines" do not contain the NATURAL pathogen but contain a MAN MADE surrogate pathogen. IMO if you have sufficient anti-infective vitamins and a decent immune system the natural childhood infections will almost NEVER result in serious disease. With a robust natural Immune System and LOTS of Vitamin D you can contract and DEFEAT most pathogens in seconds, minutes or hours. Most of the childhood disease we currently "vaccinate" for can IMO much more efficaciously, safely and salubriously dealt with with the Anti-Infective Vitamins D, C and A and a few other anti-bacterial and antiviral agents and methods. These diseases are either viral or bacterial and the anti-infective vitamins et al deal quite nicely with BOTH. So instead of letting some stranger inject toxins made by unethical people under the direction of Federal Agencies who have obfuscated the cause of Autism, into your babies you can learn how to assure you get the required amounts of these simple vitamins and adjuncts in your babies YOURSELF. 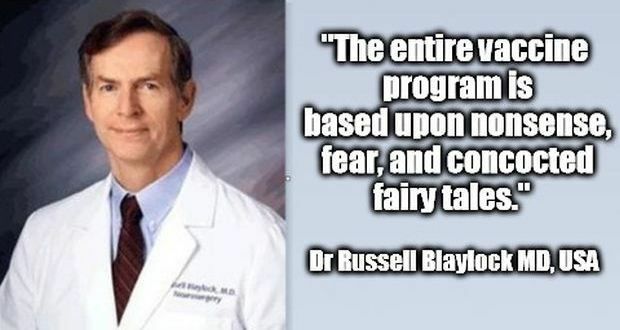 The whole dangerous toxic practice of "vaccination" will then be removed from your and your children's lives. Currently tens of millions of families have successfully done and are doing this. Conclusion: I have presented a LOT of evidence on the INHERENT and DELIBERATE harm of "vaccination". The political heads of the various government health agencies are very aware of the vast harm the "vaccinations" are doing to your children and your family and have COVERED UP the evidence of this harm. I realize after a lifetime of pro-vaccination propaganda this is VERY HARD to accept. Please forgive me. BUT in the end you, your children and family will thank me.